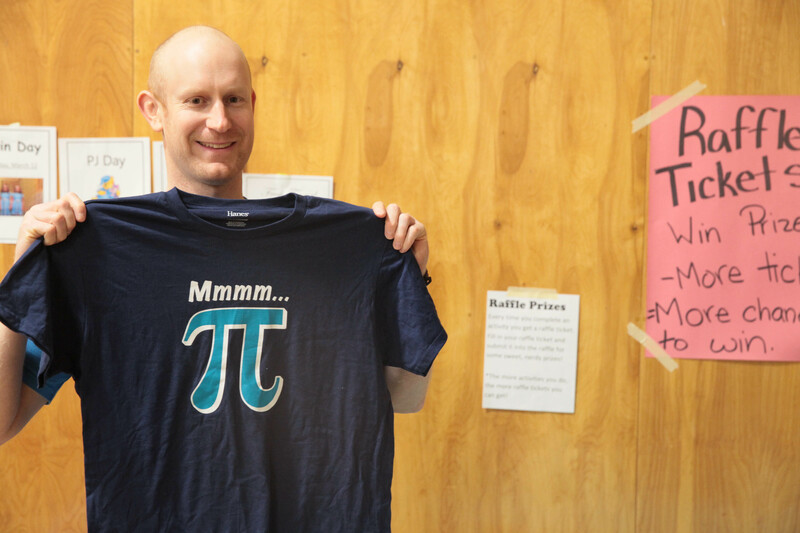 Students at Westview Secondary had fun with math during the school’s inaugural Pi Day Carnival last month. Westview students celebrate Pi Day! Pi Day is a worldwide celebration of the “mathematical constant π” that takes place annually on March 14 because the date (3/14) matches π’s first three digits. The Pi Day Carnival at Westview included games as such as pin the tail on the Pi-kachu, pi-neapple bowling, pi-ku poetry challenge, pi button/bracelet-making and the pi memorization challenge. Westview teacher Susan Sarai, who organized the day with help from several other teachers and students, says the carnival allowed students of all grades to work together and participate in some quirky math events. “Math is often considered a subject that students struggle with. An event like this allowed students to put aside their anxieties and have fun with math,” she said. The Pi Trophy for memorizing the most digits of π was awarded to Grade 10 student Zach Chapman, who was able to recall 100 digits. 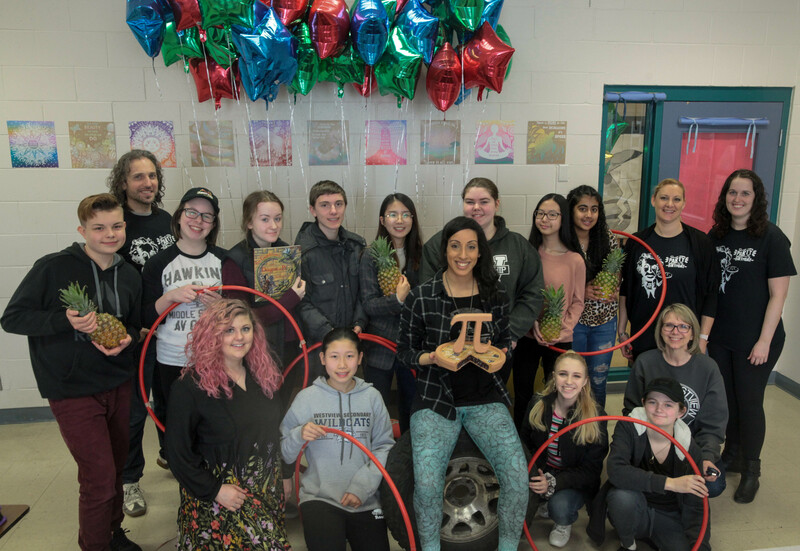 At Pitt Meadows Secondary, nearly 300 students participated in the school’s Pi Day event, which included pi decorating, scavenger hunts to pi, and pi throwing. “Our math department organized the event and many of our staff volunteered to assist with overseeing the various activities,” said principal Cheryl Schwarz. Nearly 300 students took part in Pi Day activities at PMSS.